A home encounter with Leicester City affords Sunderland forward Victor Anichebe (£4.6m) the opportunity to continue his fine recent form. Handed a first start of the season in Gameweek 11, Anichebe registered a goal and an assist away to AFC Bournemouth to earn his side their first victory of 2016/17. Anichebe followed that up by netting twice in a 3-0 home win over Hull City and, after losing 2-0 away to Liverpool last weekend, Sunderland will be looking to take advantage of Leicester's leaky defence on Saturday. The Foxes have conceded 16 times in six away matches in 2016/17, the most of any Premier League team away from home. Having climbed to third spot in the Fantasy Premier League forward standings, Jermain Defoe (£7.6m) is the most popular Black Cats asset. Sitting in 19.3% of squads he has supplied seven goals and two assists, in addition to earning 14 FPL bonus points across the opening 13 fixtures. But the budget-friendly Anichebe has more than matched his team-mate since becoming a regular in the starting XI. Over the last three Gameweeks, Anichebe has fired twice the number of attempts on goal (eight to four) than Defoe. He has registered seven shots inside the opposition area to Defoe’s three and also leads his strike partner for penalty-area touches (13 to 10) and efforts on target (three to two). Encouragingly for Sunderland, the weekend hosting of Leicester is one of three matches in the next four Gameweeks to score only two in the Fixture Difficulty Rankings (FDR). 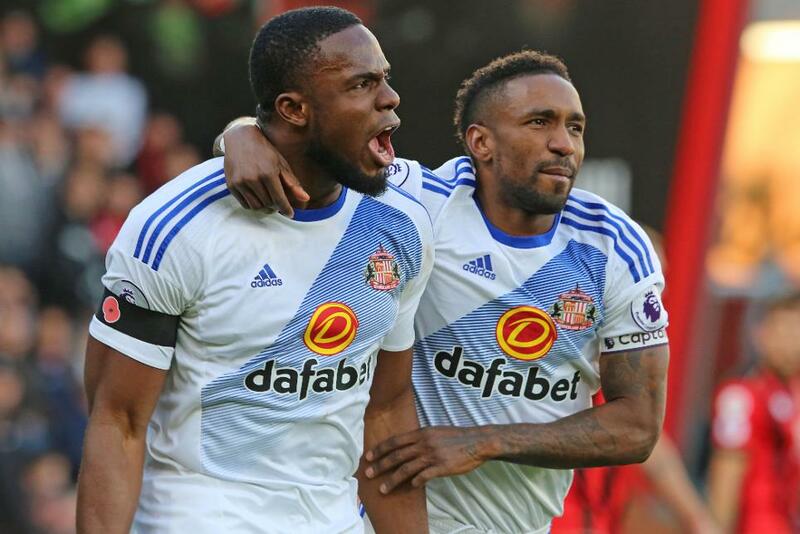 Sunderland also travel to Swansea City and entertain Watford, promoting Anichebe as a viable option for our FPL starting line-ups.